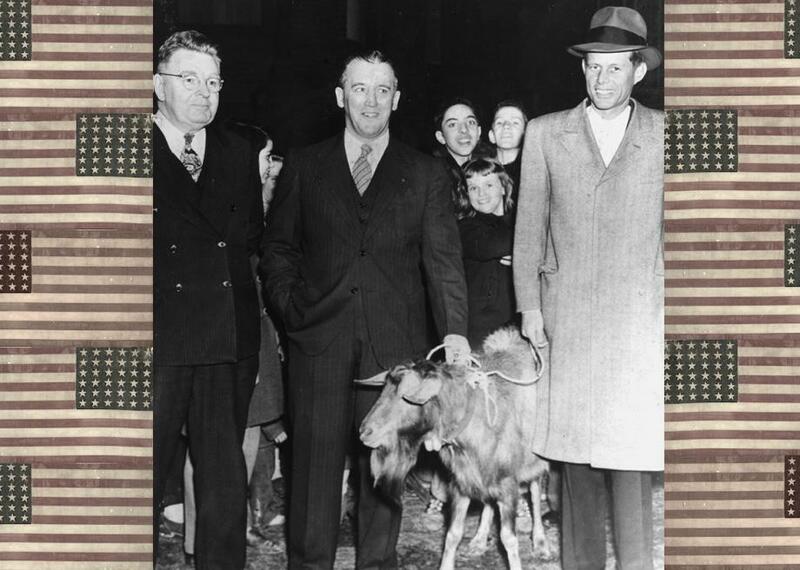 JFK enlisted a goat in his first political campaign. As this turbulent election season marches on, it’s easy to forget that, throughout the history of world politics, a small but steady role has been played by goats. During June’s European Union referendum, something called gifgoat.party convinced nearly 10,000 people to register to vote by showing them videos of frolicking kids. One of Donald Trump’s personal tax-cutting strategies includes pasturing goats on two of his New Jersey golf courses, making them, legally, large (and strangely barren) farms. And then there’s President George W. Bush’s favorite emergency reading material, The Pet Goat. If three’s a trend, we’re already there. Less apparent is the potential originator of this campaign staple—none other than President John F. Kennedy, who, during his very first political race in 1946, walked a billy goat around Boston and stole the city’s heart. It’s tough to imagine such a storied personage walking a goat. But before he was a Democratic wunderkind, JFK was just Jack Kennedy, a young man trying to figure out what to do with his life. Both of Kennedy’s grandfathers had been politicians—his dad’s dad, P.J. Kennedy, served many years as a Massachusetts congressman and senator, and his mom’s dad, John “Honey Fitz” Fitzgerald, was a two-term mayor of Boston. His father, Joseph, was a successful businessman with a web of political ties. He had been grooming his oldest son, Joe, to take up the family game, while Jack traveled, tried his hand at journalism, and finished up an eventful stint in the Navy. 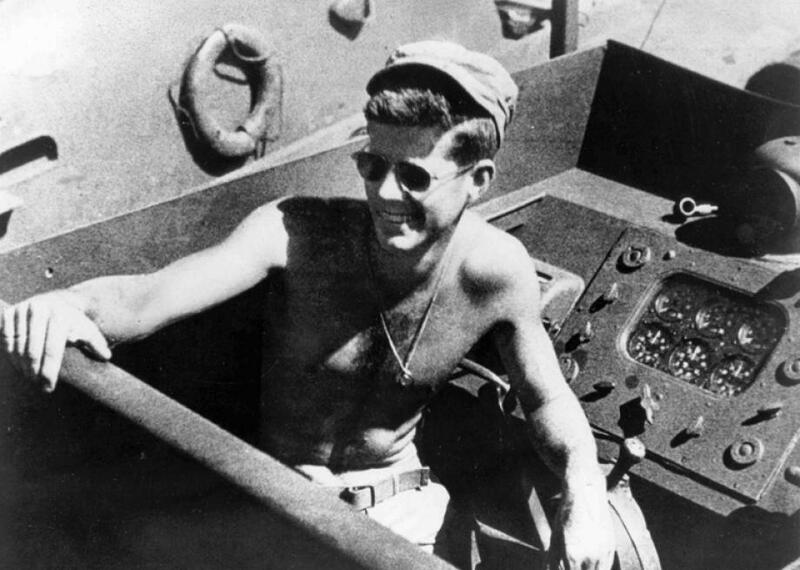 A young JFK in the South Pacific. And so in 1946, at age 29, Jack put away his pen and began his first political campaign. If this new career felt like a war, its front lines were Massachusetts’s 11th Congressional District, a swath of Boston that encompassed much of West Roxbury and Charlestown, as well as pieces of Cambridge and Somerville. The district was having a special election to replace Rep. James Michael Curley, who had just been elected mayor of Boston. The Democratic primary, scheduled for June 18, was the real contest—the district was staunchly partisan, and whatever donkey made it to the general was a shoo-in for the Washington seat. One popular gathering place was the local Knights of Columbus chapter, the Bunker Hill Council. Smack in the middle of Charlestown, pretty much every Irish Catholic in town was either a Bunker Hill Knight or related to one. (The organization was, and is, literally an old boy’s club, inducting only men over 18.) Kennedy’s advisers counseled him to join up, and quick, and so Kennedy put himself forward for the annual induction ceremony. 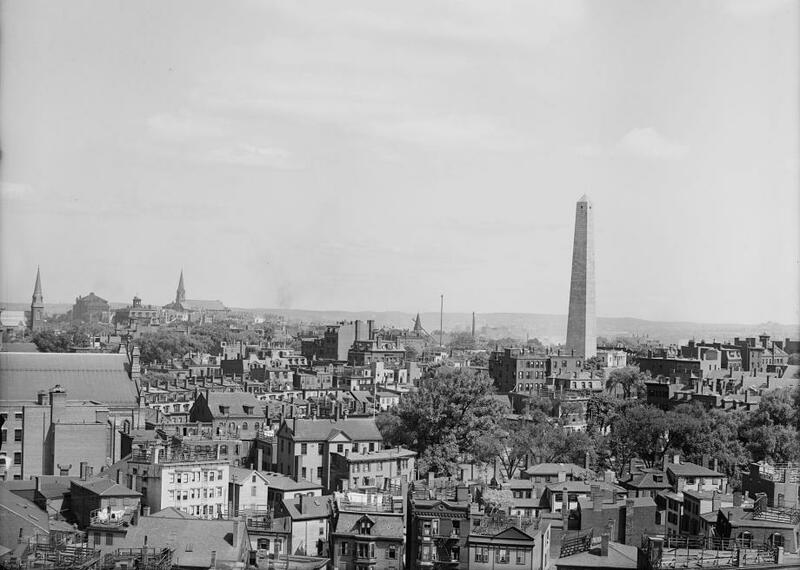 The Bunker Hill Monument, rising about Charlestown. The young candidate spent a couple of hours getting goat-yanked 3 miles around the streets of Charlestown. The only known photo from the event, above, shows him gamely holding the bearded animal by the tether, flanked by campaign staffer Sylvester Colbert and Grand Knight Warren McCully and with a few new giggling fans in the background. That and a secret oath, and he was an official Knight of Columbus. 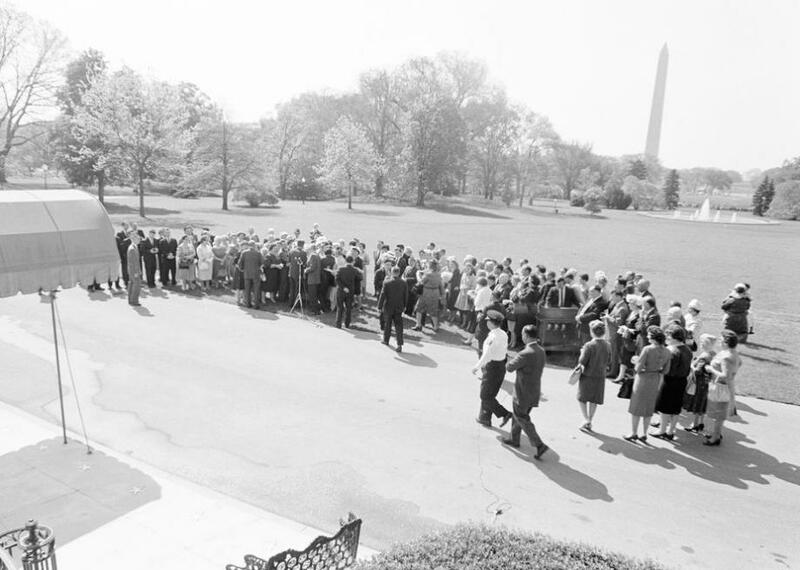 The Bunker Hill Knights of Columbus visiting the White House in 1961. Maybe it was the goat, or maybe it was the hours spent hitting the pavement, or maybe it was the charisma and talent that would power him through increasingly high-stakes contests, but Kennedy won the primary by a landslide, doubling Neville’s vote total and more than tripling Cotter’s. “Almost overnight,” writes Lukas, “Jack Kennedy had become an honorary Townie.” He proceeded to beat his Republican opponent in the general election, and, eventually, everyone else he ever ran against, bringing him from Congress into the Senate and eventually into the presidency. Kennedy never forgot his goaty roots. In 1961, when he was snug in the White House, he invited the Knights of the Bunker Hill Council and their families to a lawn party, inviting them to parade around his new place, huge and elegant and distinctly livestock-free.